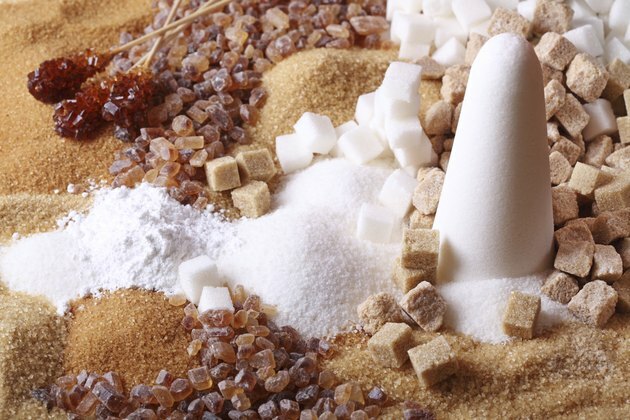 Does Eating Sugar Dehydrate You? Sugar can dehydrate you if it gets to very high levels in your blood. This can happen if you are a diabetic, take certain medications or have an infection or certain organ diseases. If your kidneys start producing more urine to try to eliminate the sugar and you lose enough fluid, dehydration can result. Under normal circumstances, your pancreas responds to higher sugar levels by producing more insulin, a hormone that enables the cells in your body to take in glucose from your blood for energy. This returns blood sugar levels to normal. In Type 1 diabetes, the pancreas produces little to no insulin. In Type 2 diabetes, your body loses its sensitivity to insulin even though your pancreas produces it. 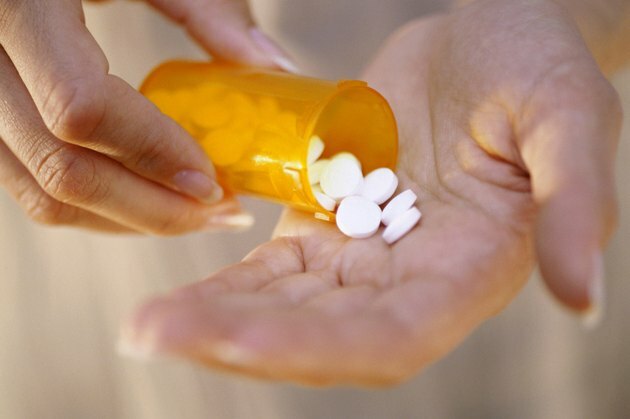 Many diabetics use some form of insulin therapy to avoid high sugar levels. Other causes of hyperglycemia or high blood sugar include injury or physical trauma, steroid therapy or IV nutritional therapy that contains a lot of glucose. If you have kidney, liver and pancreatic disease, you can also develop hyperglycemia. In some cases, the production of insulin decreases. In others, the liver makes too much glucose. 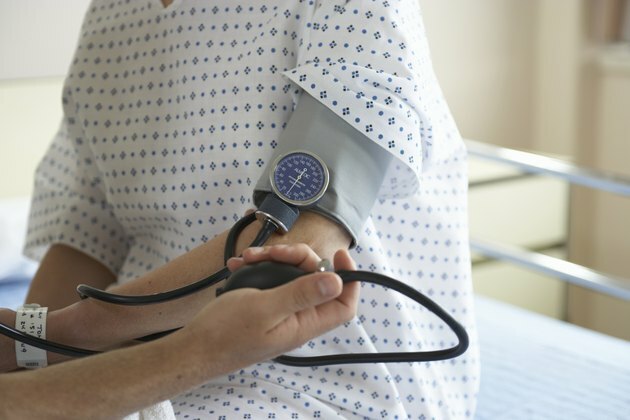 If hyperglycemia occurs, excessive urination and dehydration can result. 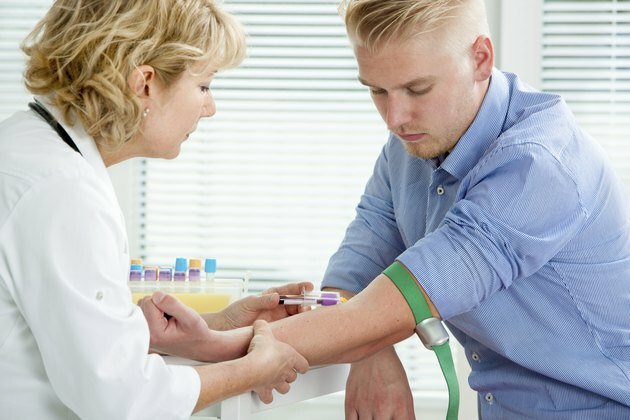 Your doctor can order various tests to check for hyperglycemia, such as various blood sugar tests that are taken before and after a meal or monitored over the course of two or more hours. Because diabetes is such a common disease, your doctor will likely want to rule out that condition from the beginning. Depending on your symptoms, he may or may not order other tests at the same time to screen for other diseases. Symptoms of dehydration include dry mouth, decreased urination, lethargy, low blood pressure, rapid pulse, loss of skin elasticity and shock. Drinking small amounts of fluid may be sufficient if you have mild dehydration. Special electrolyte solutions containing balanced amounts of salt and sugar are also available. You may need IV therapy in a hospital if you are moderately or severely dehydrated. Severe dehydration can cause seizures, brain damage and even death. National Institutes of Health: "Dehydration"
Cleveland Clinic Foundation: "Hyperglycemia (High Blood Sugar)"